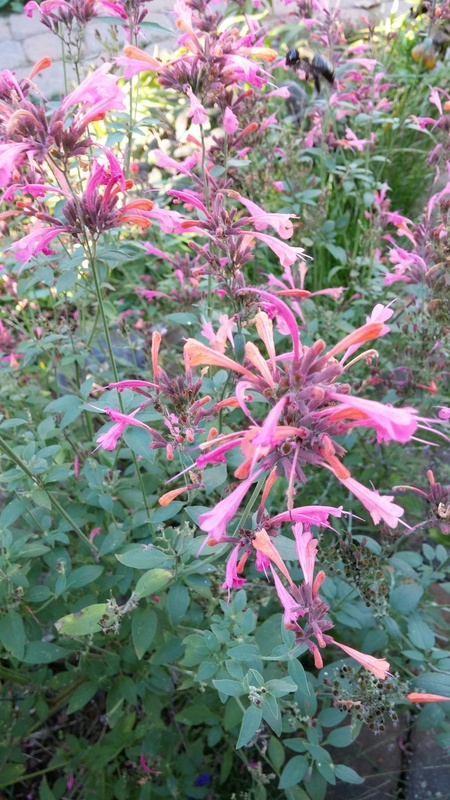 This is agastache, which we also planted new this year to attract birds, bees, and butterflies. And it worked. We planted several different colors. Hopefully they will all come back next year. Some are still blooming. It’s also called hummingbird mint and supposedly makes a nice tea.